Most of the wines in Provence have been summer wines but they have improved greatly in quality well over the past decade. Not only has the quality of the Rose improved, but there are now more and more interesting reds being made. Indeed , the best wines of Provence are the reds. These are being made from a blend from a southern French varieties, such as Carignan, Mourvedre, and Syrah with the addition of some Cabernet Sauvignon. The whites are not that exciting. There are vineyards throughout Provence but they are scattered because of the hilly and more fragmented landscape not like in Languedoc, the South west part of France. Most of the vineyards of Provence lie along the valleys of the rivers. The village from which the name of this appellation derives also gave its name to Bauxite, the mineral ore used to produce aluminum. This is an area where organic vineyards develop naturally harmonious wines without the use of any man made fertilizer. 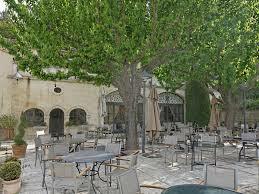 Once part of AC Coteaux d’Aix, Les Baux-de-Provence was given its own appellation in 1995 for reds and Rose, under stricter production regulation than of Coteaux d’Aix. Although only a small appellation, the level of quality is high. Because of the extreme rigidities of French wine law, the region’s top estate. Domaine de Trevallon, no longer uses the appellation , but is labeled as un vin de Pays. The Village of Les Baux is a must see sight and is extremely busy during the high Tourist season. The reputation of the Coteau d’Aix en Provence, became an appelation controlee in 1985, has been growing very steadily. Vines have been grown in the area since Roman Times. A number of growers have built the names of their properties by planting better grape varieties, usually a blend of Cabernet Sauvignon, along with more typical varieties such as Syrah, Grenache and Mourvedre. Also in addition growers have increased their investment in the vinyeards and vinification, and have taken greater care in aging their wines. A limited amount of white is made from Sauvignon and Semillon, blended with local varieties such as Grenache Blanc and Vermentino. 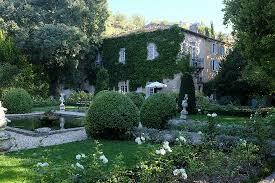 One of the best known properties is Chateau Calissanne, located south Salon de Provence , close to the Etand de Berre. 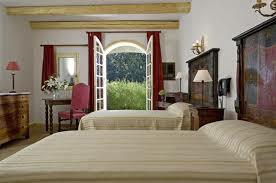 Calissane is a very large and historic property of 1,000 hectares ( 2,420 acres), with 107 hectares ( 264 acres) of vines. The top red is the Clos Victoire, a blend of Syrah and Cabernet Sauvignon is aged for at least a year in new oak barrels. 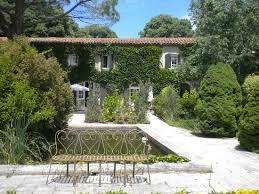 Another well-known estate is Chateau de Fonscolombe , a 170 -hectare ( over 400 acres) estate on chalky clay soil on the south bank of the river La Durance, north Aix. There are 144 hectares of vines planted. 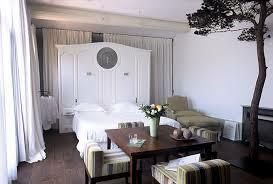 The imposing Chateau was built in 1720. 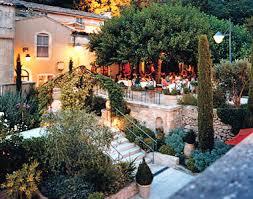 An enclave within the area of the Coteaux d’Aix-en-Provence is a small appellation of Palette. With just 42 hectares ( 104 acres). The chalky soil gives fuller-bodied wines ( red, white, and rose are made) than the rest of the region. 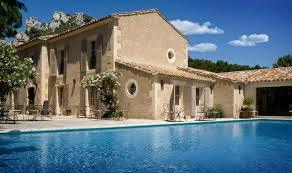 This appellation lies between the Coteaux d’Aix- en- Provence and cotes de Provence in the Var department. there are just over 2,000 hectares ( 4,942 acres) of vines, with Brignoles as the main town The wines come in three colors, and are generally drunk young. Next article will be reserved to vineyards addresses.